The Catholic Church has long denied the existence of Pope Joan, but newly uncovered coins suggest that she could have existed after all. Wikimedia CommonsA French illustration of Pope Joan. A shocking discovery on ancient coins might prove once and for all the existence of a female pope. Researchers from an Australian university examined ancient silver coins and believe that they found evidence proving that Pope Joan, the rumored first and only female pope of medieval legend, truly did exist. Since Peter the disciple was crowned the first pope, all 266 popes have been men. However, legends say that one woman disguised herself as a man and slipped under the radar, climbing all the way to the top of the Catholic Church’s hierarchy to become the first-ever female pope in the middle of the ninth century. 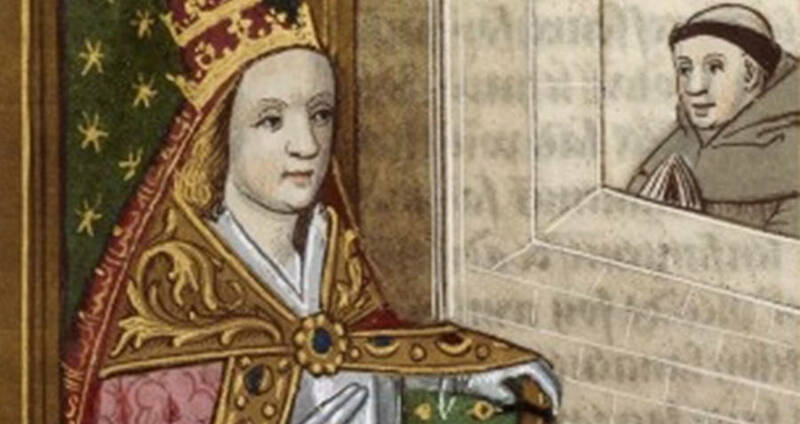 The legends claim that a pope named John (Johannes Anglicus) was actually a woman named Pope Joan and that it was only revealed that she was a woman after she became pregnant and gave birth during a procession. According to legend, she died shortly after the birth, either by murder or from complications stemming from childbirth. 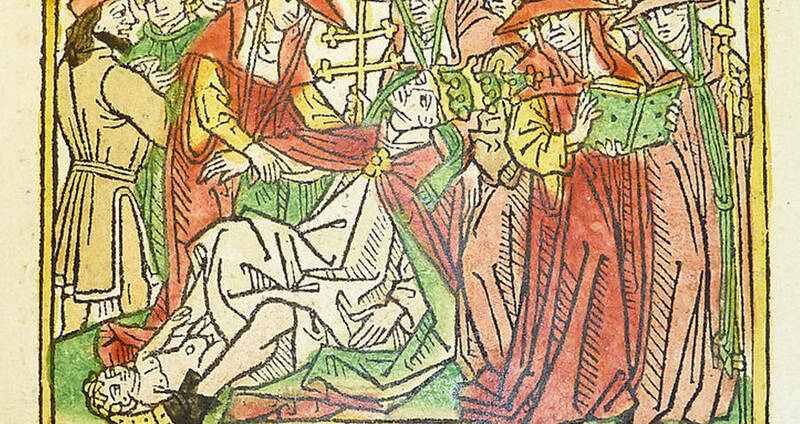 Wikimedia CommonsAn illustration of Joan giving birth during the procession. However, the Catholic Church denies the existence of Pope Joan. Historians have argued that the woman who gave birth during the procession was really Pope Urban VIII’s niece and that the timeline for Pope Joan’s supposed existence doesn’t fit with the historical record. There’s also been debate over whether or not Pope John, also known as Pope Johannes, existed at all. But examination of the ancient coins in the new study suggests that Pope Johannes did in fact exist. “In the beginning, I also believed that the story of Joan was mere fiction, but when I did more-extensive research, more and more, the possibility emerged that there was more behind the story,” Michael Habicht, an archaeologist at Flinders University and author of the study, told Live Science. According to Habicht, the silver coins, known as deniers, contain a symbol that suggests that Pope Johannes existed, which means that Pope Joan may have existed as well. Michael HabichtAn illustration of the analyzed coins, revealing the monogram. One side of the coin, which was used in Western Europe during the Middle Ages, features the name of the emperor of the Franks on one side and the pope’s monogram on the other, according to Live Science. 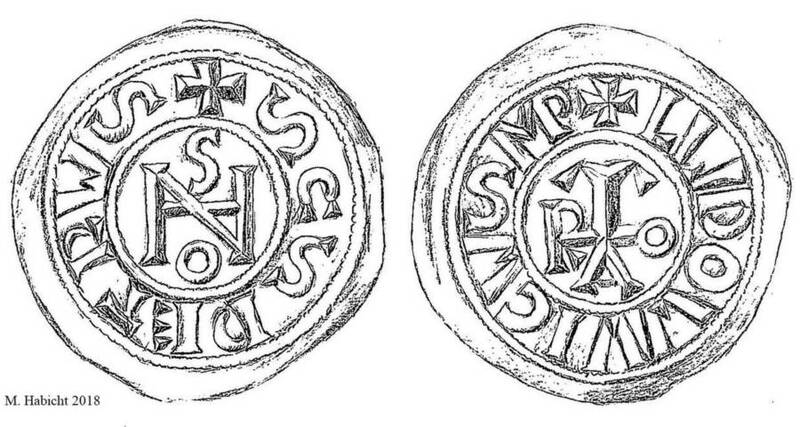 Archaeologists said that some of the coins had monograms belonging to Pope John VIII, but some earlier ones had a vastly different monogram which possibly could have belonged to Pope Johannes Anglicus instead. “The coins really turned the tables in favor of a covered-up but true story,” Habicht told Live Science. The analysis of the monogram on these ancient coins does not completely confirm Pope Joan’s existence, but it sure does add fuel to the fire. Next, read about the mysterious death of Pope John Paul I. Then, discover the absurd story of the pope who put his predecessor’s corpse on trial.